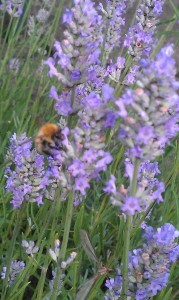 Our lavender is looking pretty good at the moment although I really can’t take much credit for that. Apart from the fact that I originally planted it they have been left to their own devices but maybe that is the trick? It could be a lesson I should learn and apply to the vegetable side of things when i consider the variable results I’ve had this year. By not interfering I’ve allowed the lavender plants to develop at their own pace, as they have nicely filled the space allowed – sometimes exceeding it so I’ve had to clip them back – there has been no need to worry about weeding around them too much, just the occasional half-hearted effort. It certainly looks like the bees love the flowers and I’m not known for my love of bees but I am coming around to them a little. They may even have a place in the future smallholding plans but only after learning more about then and taking all relevant safety precautions! I was interested to find this link to the Newcastle and District Beekeepers association which looks like the best place to start and at least I know there’s somewhere fairly local to get help and advice! 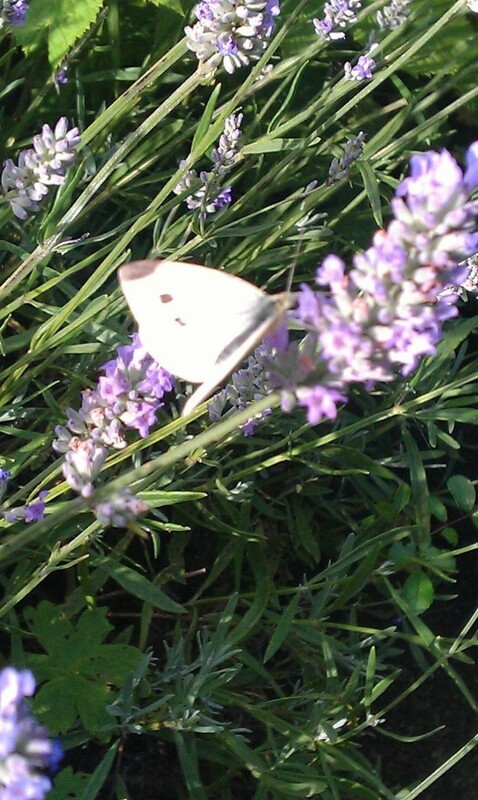 According to my research this is a Cabbage White butterfly and is probably the reason for large holes in the leaves of the broccoli plants. More accurately this particular butterfly could be partly to blame for the damage to my cabbages earlier in the year. I don’t like to hold a grudge though and it does look nice even if my photo doesn’t quite do it justice! This isn’t just some idle ramblings about pretty flowers and wildlife though, I’m now curious to find out whether I can make use of the other plants in my garden for cooking and eating. Lavender Infused Shortbread – this looks like the easiest of the lot so I may try this first!